'On The Road from Coolea' is an oil on paper that I painted during May and June of 2016. 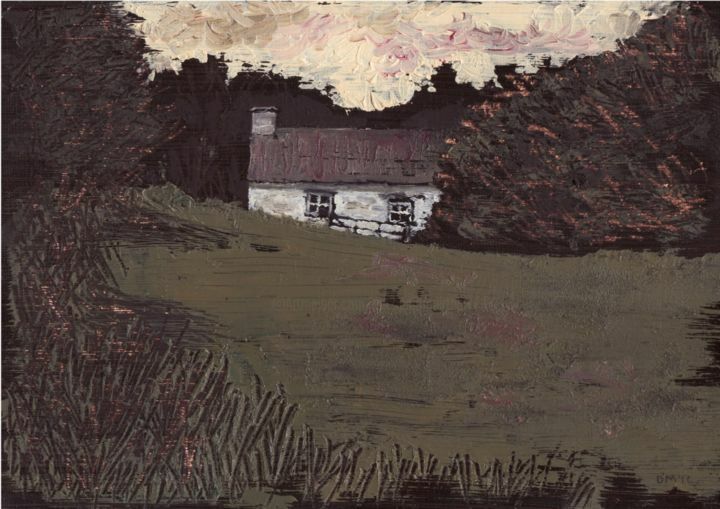 It depicts a homely scene just beyond the village of Coolea in West Cork on the old road towards Kilgarvan in County Kerry. This image was featured on the poster for a solo exhibition that was detailed for the month of June 2016 at the Briary Gap Cultural Centre in Macroom. Unfortunately, there was a fire in the building on the proposed first day of the exhibition and the Centre has been forced to close its doors as a result. Thankfully, no one was injured and, thankfully, also there was no damage done to any paintings that were on the premises at the time of the fire. The painting is now on exhibition at the Purcell Gallery in Kenmare from mid October 2016 onwards.